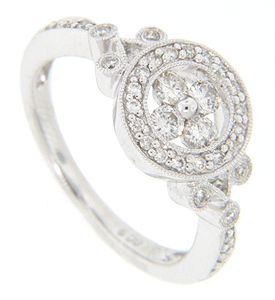 A diamond studded circle is the primary feature of this 14K white gold engagement ring. 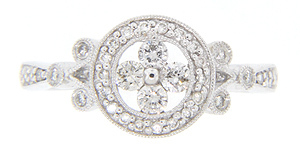 Inside the circle are set four round diamonds. 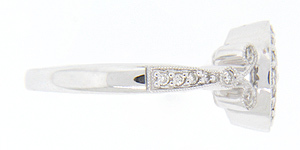 Diamonds also set down the sides of the ring. 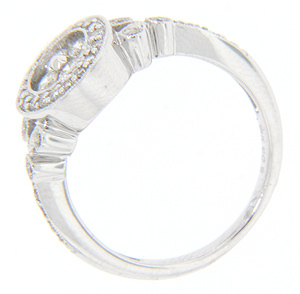 A total of .42 carats total weight of diamonds can be found in the ring. Size: 6 1/4. We can re-size.